Are you worried about the current state of the real estate market? What is going to happen now that the market is shifting to a slight buyers market? It is a question that is on the top of everyone’s mind as we move forward into 2019. The current slowdown of the market is the result of normal market forces equalizing after years of consistent rising prices. This past year, sellers and their agents got accustomed to receiving multiple offers within a short amount of time and quick overall turnaround on their listings. Also, buyers were willing to meet high asking prices because of the state of the market. Now, as the market takes a turn from a sellers market to a slight buyers market, it is more important than ever to hire an experienced real estate agent. What does it mean to be an “experienced” agent? Experience can mean many different things. An experienced agent has in depth knowledge of the current real estate market, knows their target areas like the back of their hand and how to appeal to the buyers experience. Also, these agents can coach sellers to make changes to their home so buyers can have the best experience possible that will result in offers. Experienced agents also have a knowledgeable team and a long list of past clients that can testify to their experience in the Industry. This is the time where the best agents break through and do what they do best, which is buy and sell homes! The best agents know how to handle heightened emotions, arising issues, and they are able to handle all types of transactions. No matter what state the market is in, the best agents know how to successfully get the job done. Sari & Team is proud to announce a huge milestone that was achieved in 2018! Sari Ward is ranked #40 in transactions in all of Orange County and she was #1 in units sold for the city of Laguna Niguel! 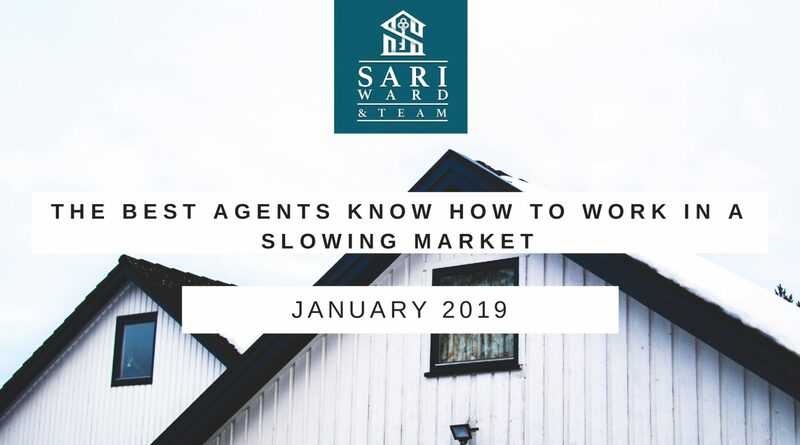 Contact Sari to learn more about the current state of the housing market. She is here to handle all of your real estate needs!